As we put the finishing touches on our Christmas tree, shop for the very last (or very first) present on our Christmas list and bee line our way through the grocery aisles, we can be sure that our favourite holiday tunes will be accompanying us during the festive season. I don't know about you, but I tend to be a Christmas music purist. I love the classic Christmas tunes that are played in the car on your local easy rock station. The various covers and interpretations of the same old songs that never ever get dusty no matter how many times you've heard it. In every household there is that favourite holiday vinyl, tape (in my house) or CD that is incredibly worn out and most likely scratched but it's the only copy you want and you refuse to replace it. In my house you'll hear Nat King Cole's, The Christmas Album (my dad's), Christmas at Home --this tape has no official name in our house, we just call it the "Disco Christmas tape"-- and Boney M's Christmas Album (both my mothers contributions), Christina Aguilera's, My Kind of Christmas (my sisters) and this year, a new and original addition to our Christmas line up (my little touch), "Mrs. Christmas", courtesy of folk/alt/blues/jazz musician Jessie Baylin. Jessie Baylin's new Christmas track is nothing short of fantastic. We found out about the newly wed's Christmas tune through her twitter, and I skeptically thought I'd check it out -- as I mentioned before I'm rarely a fan of new Christmas music, but this song tugs at all of the right musical chords. 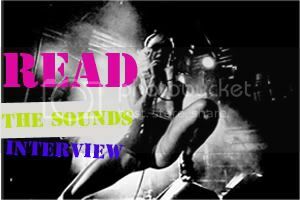 It's a bluesy and nostalgic sounding track that, if we didn't know better, we wouldn't have thought was written and recorded a few months ago. When I think about it further the song reminds me bit of Mad Men. I can picture Don Draper driving through the snow-laden backstreets of suburban Westchester, New York, one of his mistresses in tow, dropping her off, then Baylin's song comes on the radio in his car as he drives home to his "Mrs. Christmas". (I should be a writer on Mad Men). My point being that Mad Men is a fantastic series that is set in the 60's but filmed in present day, but pays close attention to the fine details to assure accuracy and consistency, much like Jessie's new song. I'm pretty sure they could get away with slipping this track into a scene, without having their historicalaccuracywatchdog audience bat an eye. In my opinion, this song works so well as an original Christmas tune because it sounds as though it was recorded in era's passed. Plus it's a blues tune.... which can do no wrong in my book (I become an old soul during the holidays). Anyway, check out the song below and download a copy from your iTunes store to add to your Christmas collection. (I just forced my sister to download it as she's a newly wed also). Can anything be better/worse than being a newlywed at Christmas? 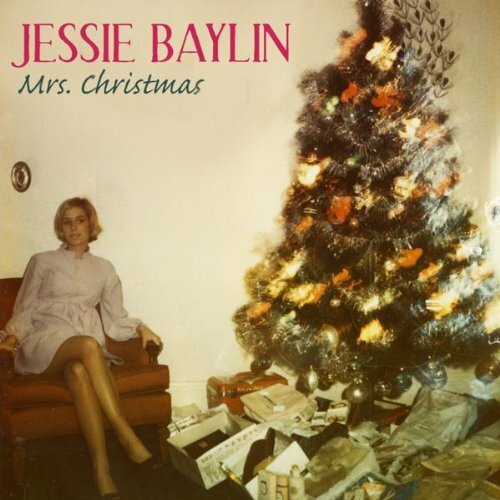 I love Jessie Baylin, her music is great and "Mrs. Christmas" is fantastic. Awesome review! Jessie Baylin is such a rare talent!! love her! I can't be more agreed with you brother, but if you observe that voice is not only the sublime, I mean just look the girl, she pretty so pretty, now I know why men bought this album.